How can I increase the size of the C Drive on a Windows Vista PC? Please let me know the options. What has to be done for increasing the Windows drive capacity shrunk while installing Fedora 17 into Windows XP? Re: Is there any option to increase the size of the C Drive on a Windows Vista PC? Go to "Create and Format Hard disk Partitions"
Click on C Drive, and click on expand. If there is free space, enter the size to expand. Your C Drive size will be increased. 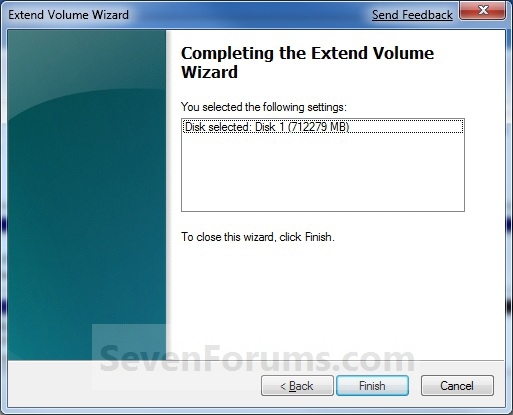 windows 7 and vista include a built-in functionally in disk management to shrink and expand partitions. To get to this utility,open up control panel,and type in partition into the search box. you'll immediately see the link show up. In the disk management screen just right-click on the partition that you want to shrink,and select shrink volume from the menu. In the disk management screen just right-click on the partition that you want to shrink, and select extend volume from the menu. 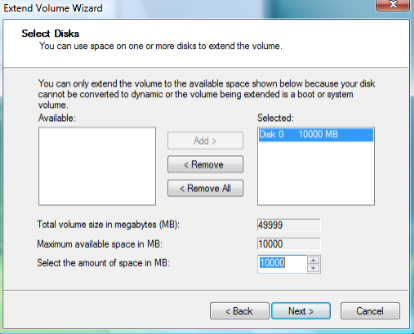 On this screen,you can specify the amount that you want to increase the partition by. in this case,i'm going to extend it back to the roughly 50gb size that it was before. 1. 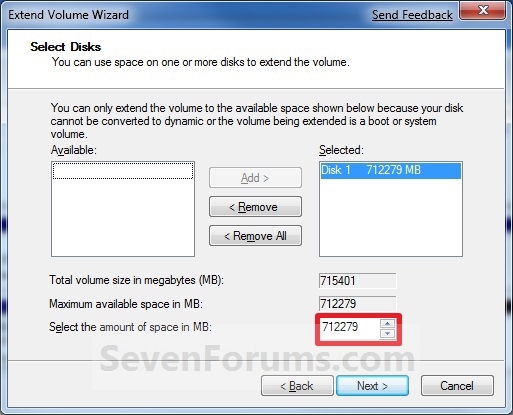 You will first need to delete the partition or volume that you want to extend into to make it a unallocated space. 2. Open the Control Panel (icons view), and click on the Administrative Tools icon. then close the Control Panel window. 3. Click on Computer Management in Administrative Tools, then close the Administrative Tools window. NOTE: If the partition that you want to extend is to the right of the unallocated space, then you will need to use METHOD TWO below to extend it instead. Best and safe option buy new disk.